Instagram is a great source to get some travel inspiration. As I mentioned in a previous post, it’s a great way to find things to do, both at home and abroad. There are so many adventurers out there, taking pictures of amazing places all around the world. Unsurprisingly, I have started to create a list of these locations. So, without further ado, here are five places that Instagram added to my bucket list. I think Instagram has caught onto the fact that I absolutely love waterfalls, because whenever I click on the discover tab, 80% of the pictures are of waterfalls (the other 20% are of food lol). 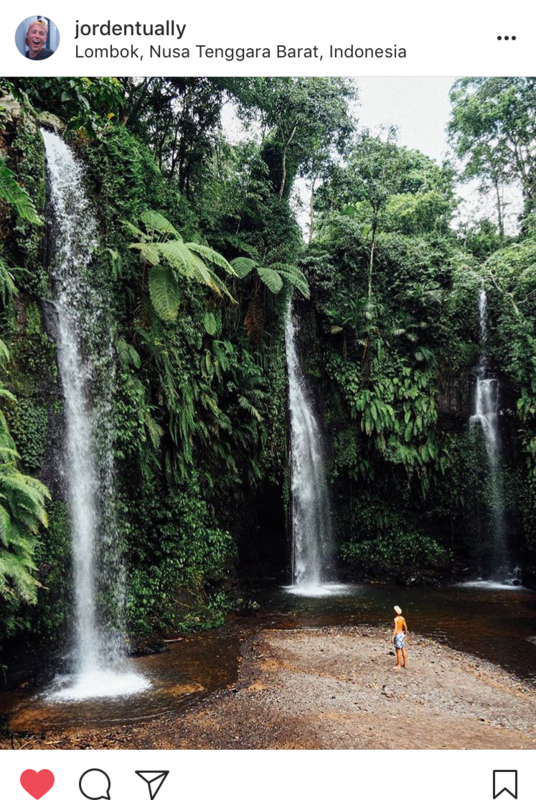 The majority of these waterfall pictures were taken in Indonesia – many are in Lombok – so you best bet that this country made it onto my bucket list! I planned to go to this UNESCO world heritage site last year, but time just didn’t permit. 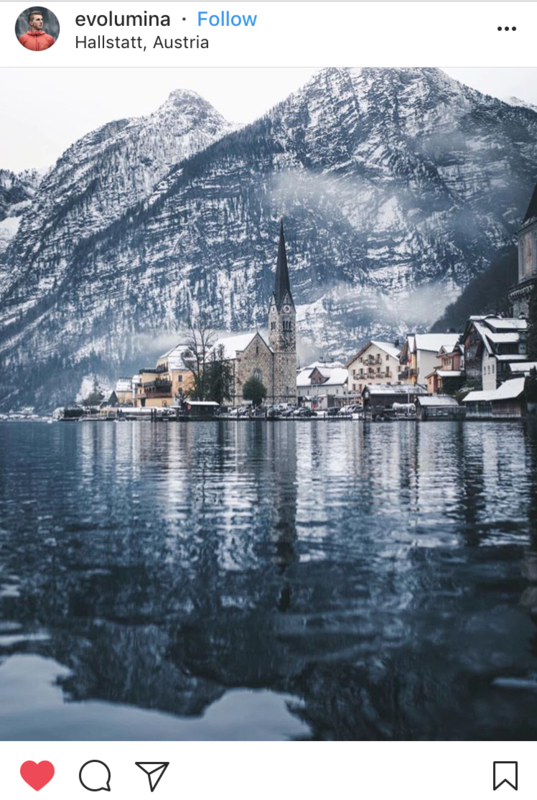 Nevertheless, the Instagram world has fueled my desire to return to the picturesque, fairytale town of Hallstatt, Austria. It’s actually known for its ancient salt-mining trade, which is a fun fact I would have never known from all of the gorgeous Instagram pictures. Instagram has also inspired my love of animals on the beach. And not like birds or dogs or other animals that you would usually see on the beach. 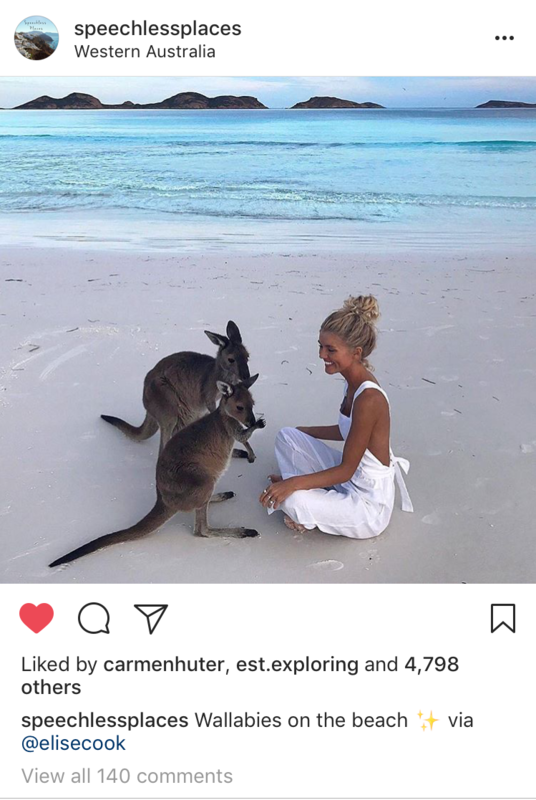 No, I’m talking about the unique animals, like the wallabies at the Cape Hillsborough Beach in Australia. These adorable little creatures are just bounding along the sandy shores of Queensland. But please remember that they are wild animals, so keep your distance! Side Note: to make this place even better, it’s just around the corner from Cape Hillsborough National Park, where there are koalas casually eating eucalyptus in the trees. Look, it’s another waterfall! I think I might have to do some physical training before I can cross this one off of my bucket list though. Havasu Falls is actually on the Havasupai Reservation IN the Grand Canyon. Because it is on a Native American reservation, permits are required to visit the Falls, stay at the nearby lodge (which has only 24 rooms), or camp at the campgrounds. In addition, one should be in good physical shape before attempting this hike. 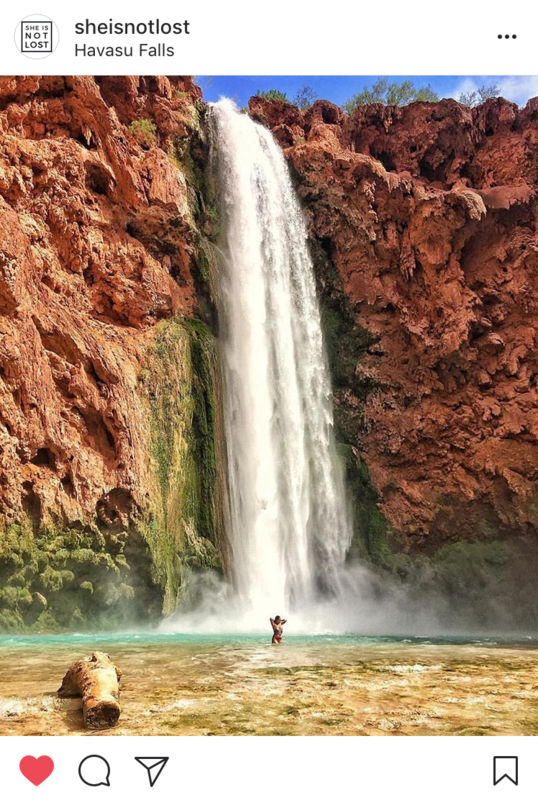 It is an eight-mile hike to the lodge, and a ten-mile hike to Havasu Falls. (Therefore, it is only a two-mile hike from the lodge to the falls). Nevertheless, the trail can be quite difficult – remember it IS in the Grand Canyon. Despite all of these difficulties, Havasu Falls is still on my bucket list. And, finally, there is Loango National Park in Gabon. 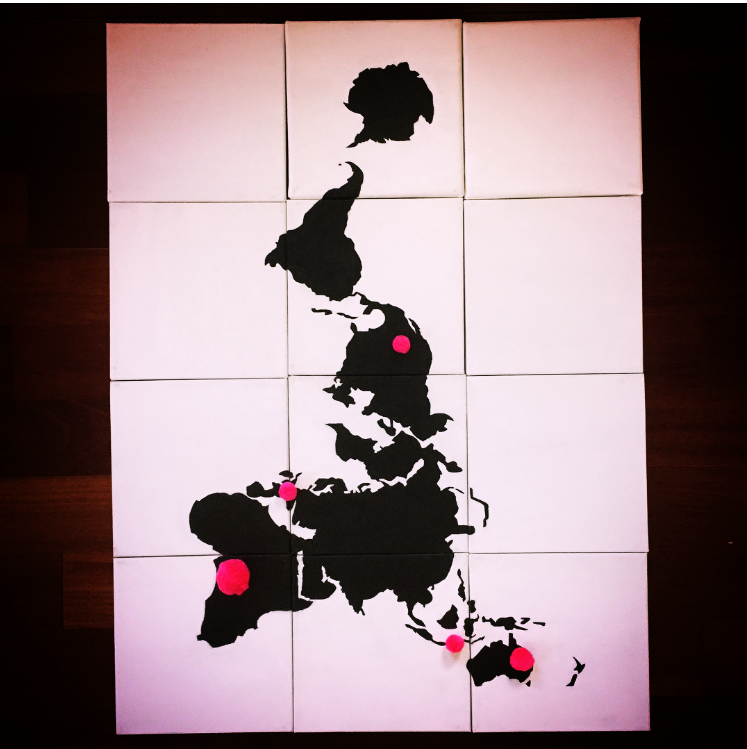 I actually saw this idea only once on Instagram through a creative travel magazine called Get Lost. Loango National Park is another one of those beaches with a unique animal – ELEPHANTS! 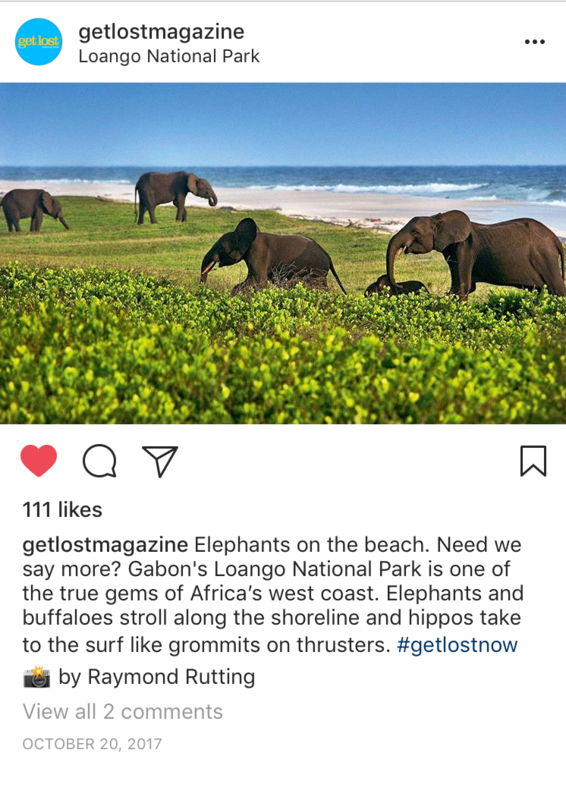 Yes, there are elephants casually strolling on the beach at Loango National Park! How cool is that? Definitely bucket list worthy. For more amazing bucket list ideas, follow @bordersandbucketlists on Instagram! 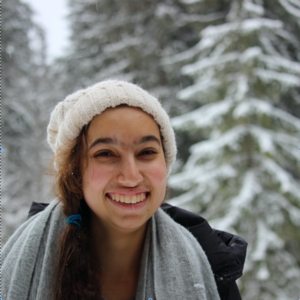 Also Follow my blog with Bloglovin! Are there any travel destinations that Instagram convinced you to add to your bucket list? Write about them below in the comments! stunning your all pictures and article too really nice thanks for sharing and keep it up thanks a lot……! Thank you so much for the support, Yash! There will be new posts every week! Previous PostPrevious You Think Christmas Is Over? Think Again.